Provides a platform for temporarily displaying up to three regulatory signs. 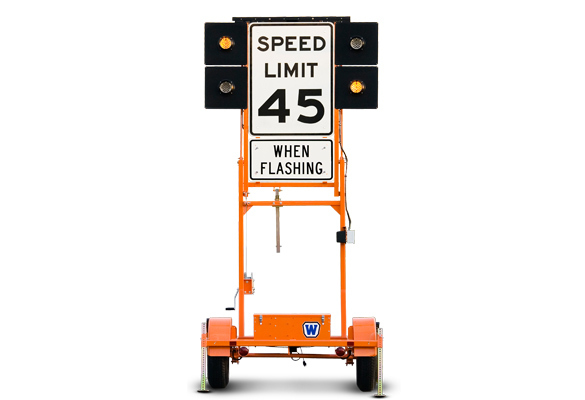 Features include two flashing beacons and a see-through design for pedestrian safety. 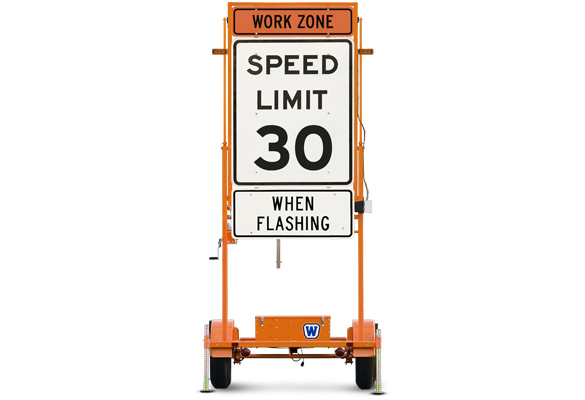 Displays two regulatory signs higher off the ground than our standard trailer. 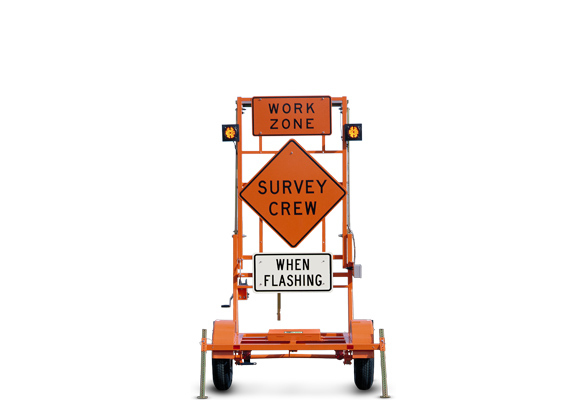 Features include four flashing beacons and see-through design for safety. Displays three large regulatory signs on a very tall portable platform. Features include a full-width frame, two LED beacons and see-through design.